Skye Gravestones | Angus & Mary (Matheson) Macdonald. Angus & Mary (Matheson) Macdonald. 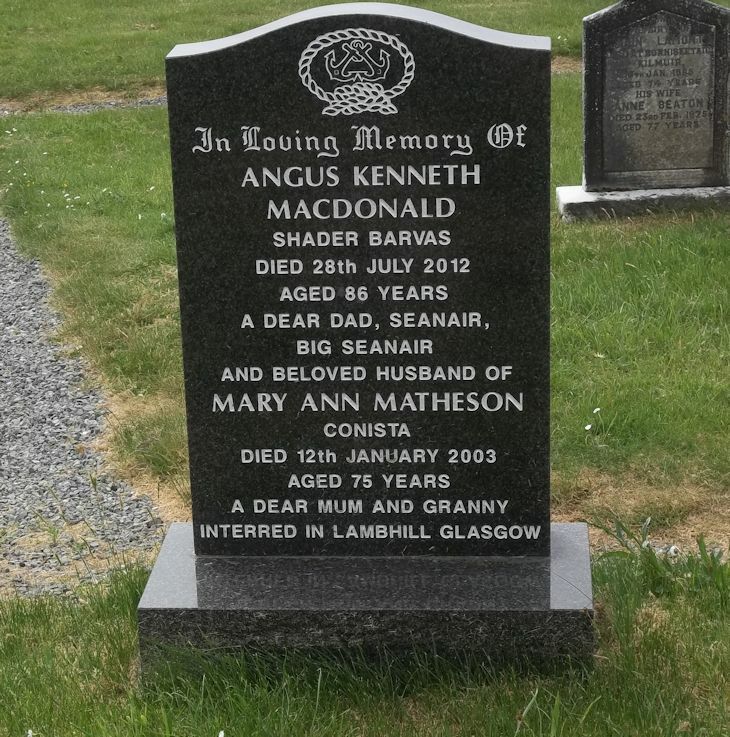 In loving memory of/ANGUS KENNETH/MACDONALD/Sader Barvas/died 25th July 2012/aged 86 years/a dear dad, seanair/big seanair/and beloved husband of/MARY ANN MATHESON/Conista/died 12th January 2003/aged 75 years/a dear mum and granny/interred in Lambhill Glasgow.